August 10, 1628. On this fateful day the Swedish navy proudly launched the King’s newest status symbol into Stockholm harbor: a twelve hundred ton, double decked, warship that abruptly sank after sailing only a hundred meters. The King of Sweden, Gustav II Adolf was in Prussia at the time and promptly sent a message to his admiralty that stated “This foolish incompetence must be punished.” It was ironic because the new vessel sank largely due to Gustav's own order that the ship must be armed with additional bronze canons, making it top heavy. 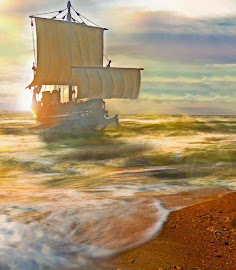 As soon as the ship's sails caught the wind, she heeled over and sank. In Gustav’s defense, the captain should have suspected the problem and had he just kept the lower deck gun ports closed, the ship may have been able to right itself and limp back to the dock without sinking. During King Gustav’s reign Sweden was embroiled in wars for over twenty years, fighting with Poland, Denmark, and Russia. 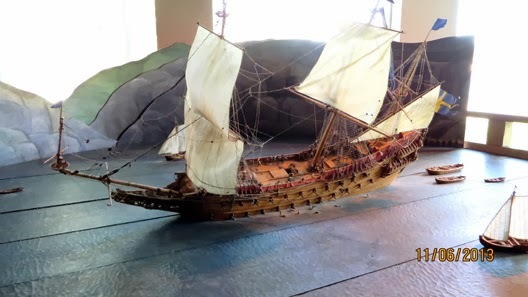 In this era warfare at sea did not rely on ships firing broadsides at each other. Soldiers would gather topside in the high prow and stern shooting muskets at the opposing crew. Usually canons on the top deck were smaller guns called “storm strichen” that fired cartridges of small shot for a shotgun-like devastation. 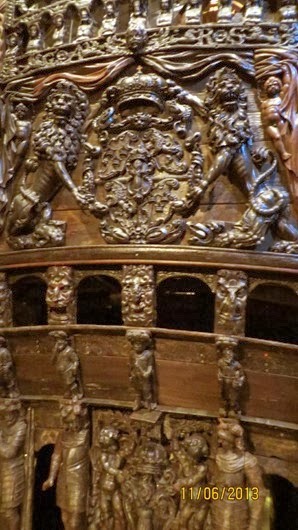 The big guns on the Vasa were the latest technology and ship builders had little experience fitting ships with heavy bronze canons. On the top deck the impressive, shining bronze canons would be in full view of Gustav's adversaries.The Vasa was a model of opulence intended to carry troops into foreign harbors and intimidate rival kingdoms in grand style. Fully outfitted she carried one hundred fifty crew and three hundred soldiers. 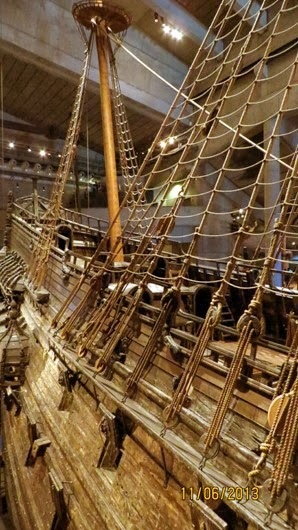 Every inch of the vessel was richly and lavishly ornate, a statement of power and wealth of Swedish sea power. With such a ship, surely Sweden would maintain dominance over the Baltic Sea. 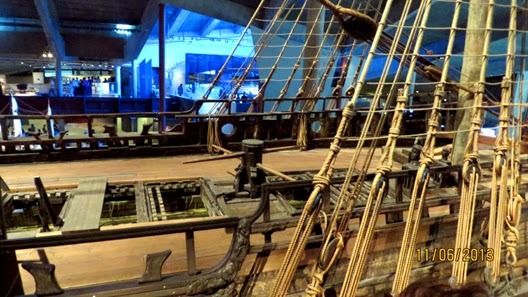 After sinking, the Vasa rested at the bottom of Stockholm harbor for three hundred and thirty-four years. In 1962, the project to lift her off the bottom and restore her to near original condition commenced. Truly a feat of engineering, the ship was lifted from the ocean depths and preserved in nearly original condition. 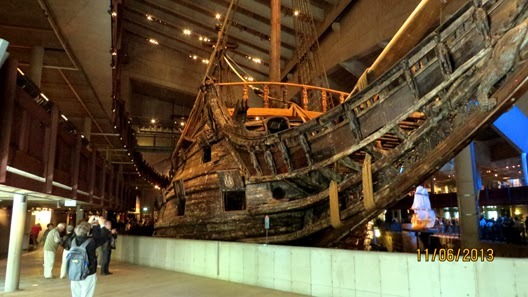 Today you can visit her in the Vasa Museum in Stockholm, a testament to the fallibility of top-down decisions.